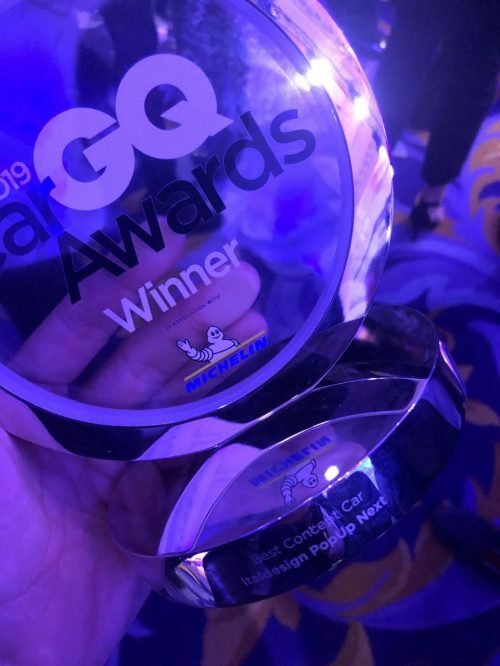 Yesterday, in London, PopUpNext has been awarded the GQ Car Award 2019 as “Best Concept”. Presenter of Channel 5’s Formula E, Nicki Shields and Michelin-starred super chef Tom Kerridge awarded Jörg Astalosch the “The Where We’re Going We Won’t Need Roads” Award. “The flying car is the sci-fi vision that might actually become reality. AUDI AG, Airbus and hashtag#Italdesign have joined forces to create a modular smart mobility system that those involved reckon could be operating in our cities within the next decade” is the official motivation.